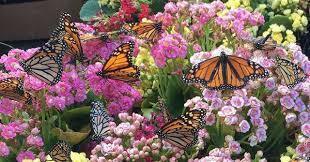 Olympia West PTO is very excited about upcoming changes to the Olympia West Butterfly Garden. Over the next couple years you will see a “Kindness Rock Path” created by our own Olympia West students along with many educational tools that the kids at Olympia West and in our community can learn from while exploring the garden. The Butterfly Garden Committee along with the Olympia West PTO are working closely with experts to make sure we are planting and grooming the garden properly to ensure the best habitat for the butterflies. Also, we are lucky enough to have the Olympia High School FFA members creating fun decorations for the butterfly garden.